Manaal Faruqui won a Best Student Paper award from the 2015 Conference of the North American Chapter of the Association for Computational Linguistics — Human Language Technologies. 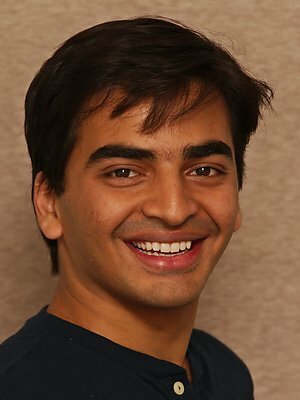 LTI Ph.D. candidate Manaal Faruqui won a Best Student Paper award from the 2015 Conference of the North American Chapter of the Association for Computational Linguistics — Human Language Technologies (NAACL HLT 2015) for his work "Retrofitting Word Vectors to Semantic Lexicons." The paper proposes a method for refining vector space representations using relational information from semantic lexicons by encouraging linked words to have similar vector representations, and it makes no assumptions about how the input vectors were constructed. NAACL HLT 2015 covers a broad range of topics aimed at building intelligent systems to interact with humans using natural language; understanding computational and other linguistic properties of languages; and enhancing human-human communication through speech recognition, automatic translation, information retrieval, text summarization, and information extraction. The conference will be held May 31–June 5 in Denver.